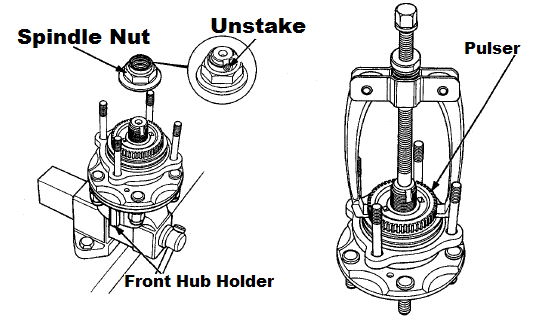 Attach the special tool to the hub and tighten the nuts, then set the special tool in a vise and secure it. 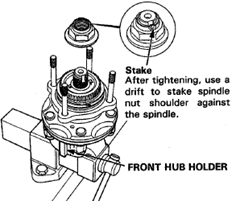 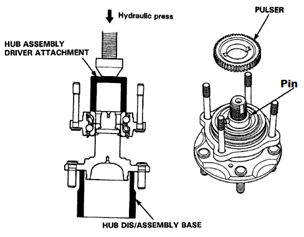 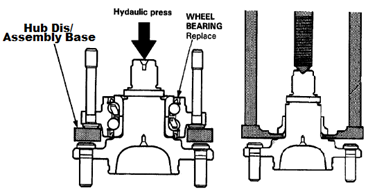 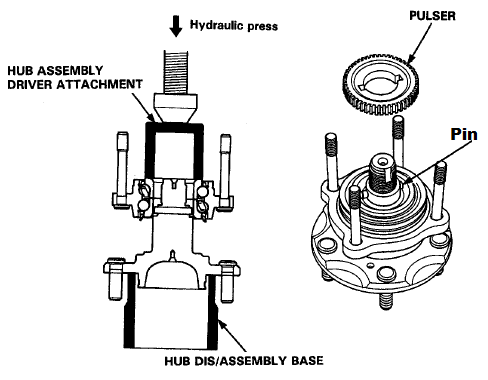 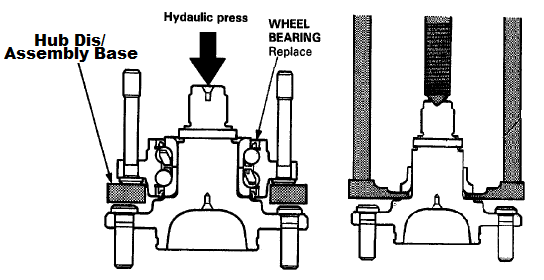 Separate the wheel bearing from the hub using the special tools and a hydraulic press. 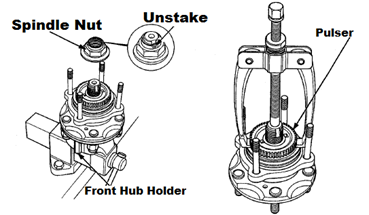 Hold the hub to keep it from falling when pressed clear.